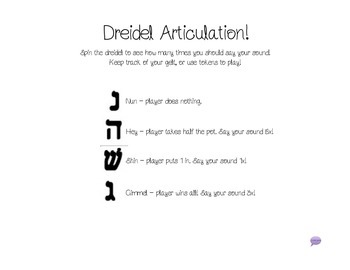 I promised you guys yesterday that I would make the dreidel articulation portion of the packet a freebie. So I did! Make sure you download it HERE on TpT for FREE. Get to spinning those words!